For over 20 years, Alvin Rangel has enjoyed an international career as a performer, choreographer, educator and artist/scholar. He began his professional career performing ballet and jazz in his native Puerto Rico. Alvin has had the honor of performing in some of the most prestigious performing arts centers: Kennedy Center, Brooklyn Academy of Music, Lincoln Center, NJ Performing Arts Center, Joyce Theatre, New York Live Arts, The Egg, American Dance Festival, among others. Rangel is an Associate Professor of Dance at California State University-Fullerton. Rangel maintains an active schedule learning new trends in contemporary dance, teaching master classes and workshops across the country, performing with his own company, In-Version Dance Project, and as a guest artist with Charles O. Anderson’s Dance Theatre X, an afro-contemporary dance theatre company, and the Dayton Contemporary Dance Company (DCDC). In 2016, he performed with DCDC, Donald McKayle’s masterpiece, Rainbow “Round My Shoulder , as part the Paul Taylor American Modern Dance spring season at the Lincoln Center. This performance received the coveted Bessie Award : 2016 New York Dance and Performance Award for Outstanding Revival. His project, Tango Vesre [Inverted Tango] has received international recognition. Audiences and the Fresh Fruit Festival Board of Directors gave Alvin the Fruit of Distinction Award for outstanding work in Dance with Tango Vesre during New York City’s 2013 Fresh Fruit Festival. In 2012, the Austin Critic’s Table nominated the project for Best Short Work and gave Alvin the award for Best Dancer during the 2011-12 season. Tango Vesre has been performed at: Highway Performance Space in Los Angeles, the VII International Queer Tango Festival of Buenos Aires, Argentina; the Congress of Research in Dance/Society of History Dance Scholars Conference; the Wild Project in New York City; and Dickinson College. In 2015, Tango Vesre was featured in the international Kuandu Arts Festival, hosted by Taipei National University of the Arts in Taiwan. 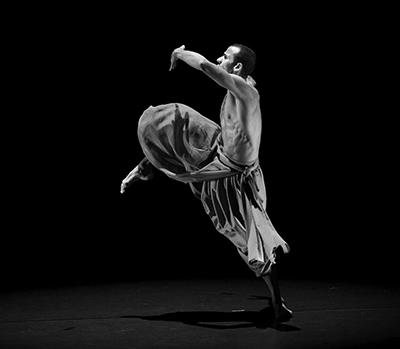 Rangel’s choreography explores the essence of what connects us as humans. His choreographic aesthetic investigates creating a landscape of dance influenced by his background in classical ballet, Afro-Caribbean, jazz and modern dance, allowing a provocative, enriching flow of hybridity and interplay through genres. Rangel is frequently examining relationships between space, gesture, music and movement, as well as the images the dancing body and music evokes in performers and audiences. For nearly a decade, he performed and traveled across the globe with the internationally acclaimed Dayton Contemporary Dance Company. At DCDC, he originated roles and worked with Bill T. Jones, Bebe Miller, Dwight Rhoden, Donald McKayle, Eleo Pomare, Ronald K. Brown, Jawole Willa Jo Zollar, Doug Varone, Debbie Blunden-Diggs and Kevin Ward. He also performed pieces by Donald Byrd, José Limón, James Truitte, Diane McIntyre, Sir Warren Spears, Tally Beatty, Shapiro and Smith, Merce Cunnigham and Eleo Pomare. He participated in the PBS documentary titled Free to Dance and the American Dance Festival’s film Dancing in the Light . In 2001, while dancing with DCDC, he received the Josie Award for Best Male Concert Dancer. Rangel taught, danced and choreographed for Andanza: Compañia Puertoriqueña de Danza Contemporánea and performed as guest artist with Ad Deum Dance Company. In addition, he has performed classical and contemporary ballet repertoire with dance companies in the United States and Puerto Rico. As an educator, he has led master classes and workshops to dancers at university and high school dance programs, community dancers, and professional and pre-professional dance companies in the United States, Russia, Taiwan, Spain, Poland, Colombia, Argentina, Mexico and Puerto Rico. His choreography has been performed by professional and pre-professional dance companies in Puerto Rico, Mexico and the United States. Alvin choreographed and co-created an outreach lecture demonstration program for DCDC that toured nationally to 27 cities as part of the Flight Project ; which celebrated the 100th year of the first powered flight. Alvin holds a B.A. in Secondary Education, English as Second Language from the Inter American University of Puerto Rico, and a Master of Fine Arts in Dance from the University of Texas at Austin where he taught ballet, repertory and contemporary dance technique.